Истекает 5 мая 2019 г. Connecting China with the World's Consumers. Operated by Chinese ecommerce giant JD.com, Joybuy.com offers a wide selection of authentic, high-quality Chinese products at competitive prices and delivers them to customers' doors in a speedy and dependable manner. Adhering to the same core values of authenticity and reliability that define the shopping experience at JD.com, Joybuy.com aims to provide consumers around the world with an innovative and robust ecommerce platform through close cooperation with domestic suppliers in China. 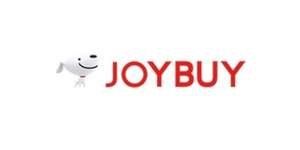 Joybuy offers worldwide customers a wide range of quality and authentic products at affordable prices.